“I was instantly drawn into the lives of the characters and every page kept me yearning to know more. The writing style was the perfect play on the tale of past and present. I definitely recommend the read!” Olivia M.
“I loved this book and I cannot wait to read Marissa Stapley’s next one. I found my new author!” Maureen W.
“By far my favourite book of 2018.” Ciara D.
“This was a super engaging read for my Spring Break beach trip. I ended up reading it cover to cover on the plane ride because it was too good to put down. I loved the characters–they were all so interesting even when flawed and with their deep sense of guilt. The ending was satisfying and I felt satiated.” Adrienne J. Every family has secrets, and Marissa Stapley’s beautiful sophomore novel does a deep, suspenseful dive into the past to solve the puzzle of the present. The vivid imagery of Canadian landscapes and summer scenes tug at our own memories throughout the read. 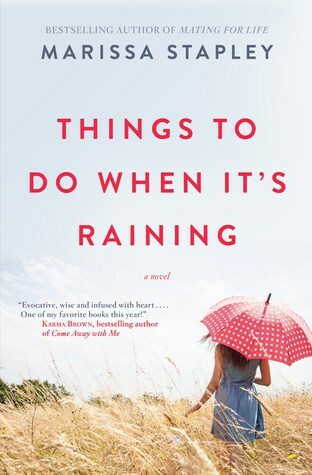 This is a perfect novel to push through these rainy days of spring and will pair deliciously with a bowl of ripe strawberries on a hot summer day (it’s never too early to plan your lakeside reading escapes, and this one surely satisfies). Stay tuned, as our newest S&S book club title (and contest!) will be revealed soon. Reading together is fun.